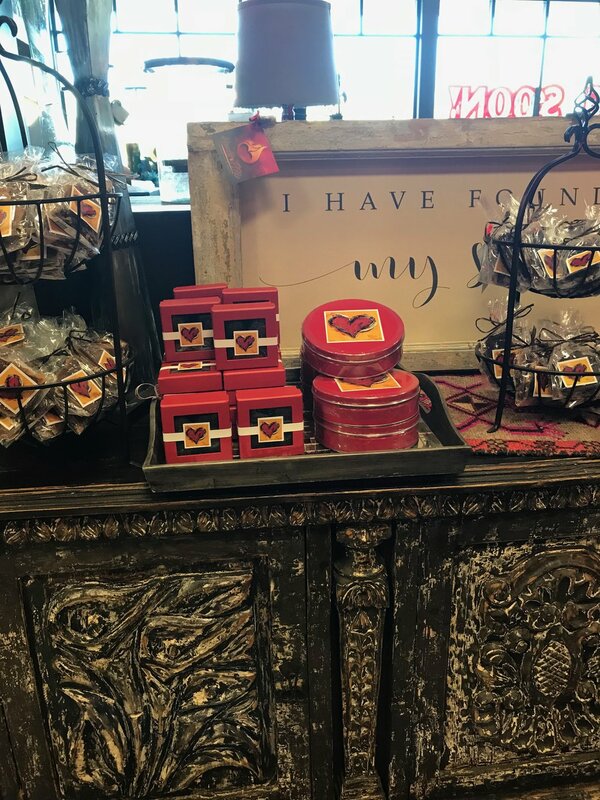 “We want the overwhelming theme to be about love,” says Tahnee Chedel of Hearts & Fire, the store she recently opened with her mother, Lori Kirkpatrick, in Omaha’s Rockbrook Village. Lori, who owns a sister store, Dos Corazones, in the artist colony of Tubac, Arizona, has had relationships with many of the artists and designers showcased at Hearts & Fire for years, but the two women also specialize in custom furniture pieces, working with local makers, and carrying lines that can’t be found elsewhere in Omaha, such as versatile Spicher and Company vinyl floor mats. “It’s all pretty eclectic,” Lori says. And, while the store definitely has a distinct Spanish mission vibe that calls to mind its Tubac roots, what it isn’t is a a paean to all things American Southwest. Think less ‘80s era Ralph Lauren throws, and more color-saturated, high-boho boudoir. Like, if Stevie Nicks bought a home in Omaha, this is where she’d shop.